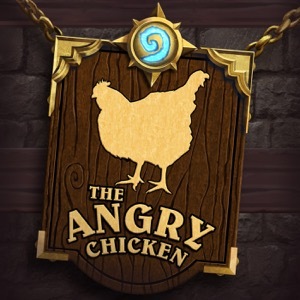 The Angry Chicken is a podcast that cracks 40 packs, throws down a 1/1 chicken w/ a +5 Enrage, all the while keeping you up to date on everything going on in the world of Hearthstone . Each week the latest news, strategies, crazy game stories and your emails are covered. Garrett Weinzierl (StarCast) and William "Dills" Gregory (The Instance), and Jocelyn Moffett (The Gamers' Inn) together host The Angry Chicken.